I can’t be the only person who immediately reinstalled Guild Wars 2 after ArenaNet announced the Heart of Thorns expansion. Indeed, I know that I’m not, because Nick did the same thing. But there’s always that stressful moment, when anticipating an MMO expansion, when you prepare for the higher level gear and tougher enemies. It’s never just more content; it’s always got to be higher level content. This won’t be the case in Heart of Thorns, and beyond. 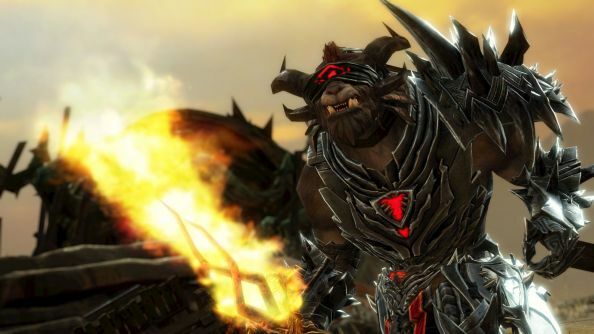 So ArenaNet doesn’t plan on increasing the level cap or attempting to seduce players with higher level gear. Your max level character with the best gear will not suddenly need to start levelling again, nor will you need to hunt down new items to take on the new challenges. I already feel a sense of relief. I bounced off Warlords of Draenor before I had even left the first area. I just couldn’t be arsed with starting that journey again. I wanted to explore Draenor, but I didn’t want to follow this level-restricted path and once again worry about gearing up for all the new dungeons. After a decade of doing that, just in WoW, not including all the other MMOs that use this model, I no longer have the energy. What about you lovely lot? Does this take some of the pressure off, or are levels and higher tier gear your main reasons for picking up expansions?